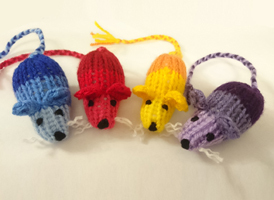 Meet 'Amber', 'Sky', 'Rose' and 'Violet' - the hand-knitted catnip mice that your cat will LOVE! 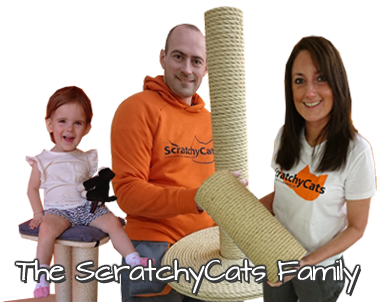 We're so confident that you and your cat will love these cat toys that we'll give you a full refund if you or your cat are not entirely satisfied with them - that's the ScratchyCats Catisfaction Guarantee. 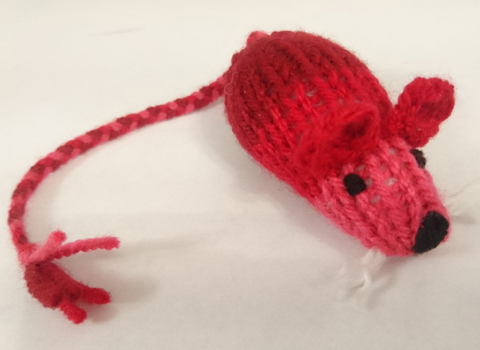 Each mouse has been carefully individually hand-knitted and stuffed with catnip infused wadding. These are hand made in Great Britain and not cheap Chinese imports. 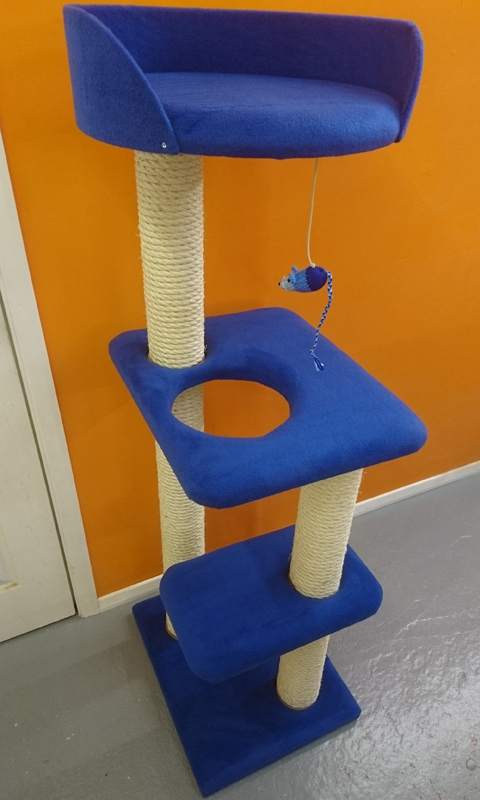 As with all of our handmade products, they are of the highest quality. These mice are sold separately. If you'd like to buy more than 1, simply increase the quantity before you buy. 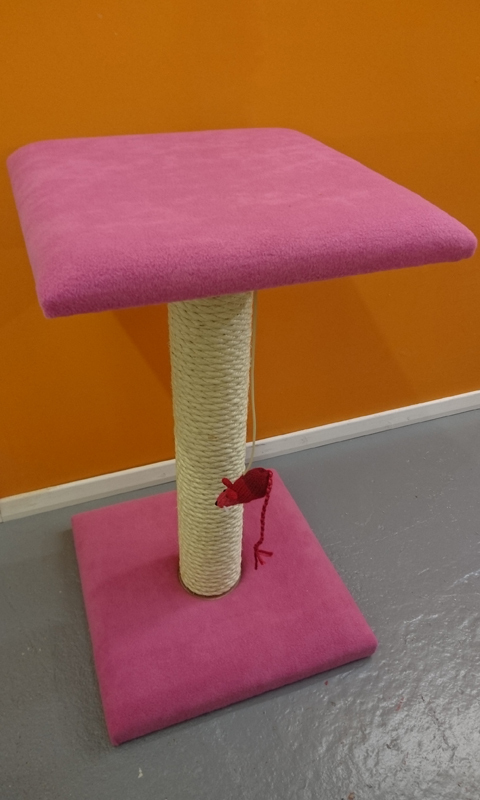 These mice can also be attached to our handmade cat scratching posts, cat trees and towers. 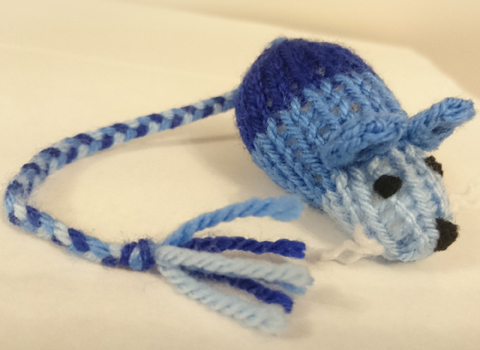 Each mouse measures 7cm x 3.5cm (approx) - this doesn't include the tail. 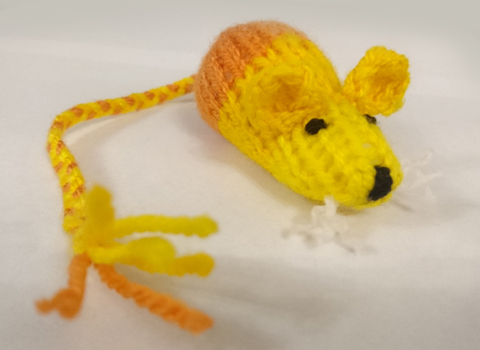 'Amber' - the yellow/orange mouse. 'Sky' - the blue mouse. 'Rose' - the red/pink mouse. 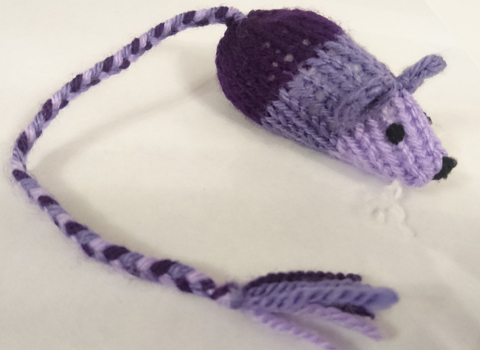 'Violet' - the purple mouse. 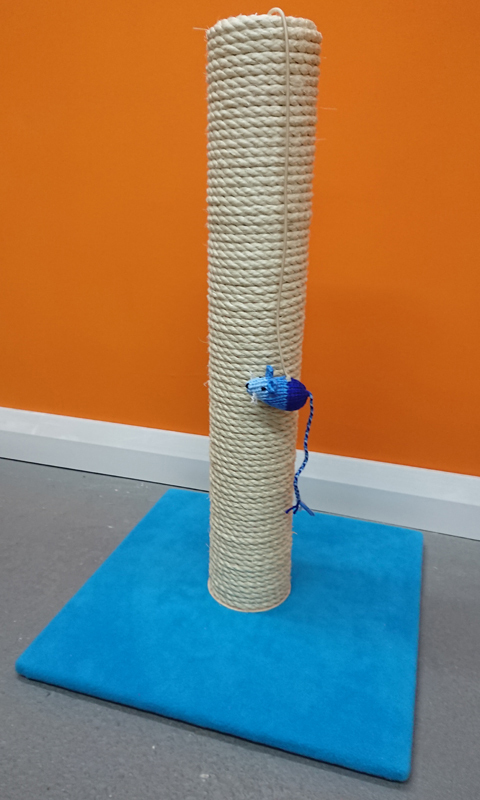 These mice are sold as loose cat toys, but can be added to a cat scratching post when bought at the same time. 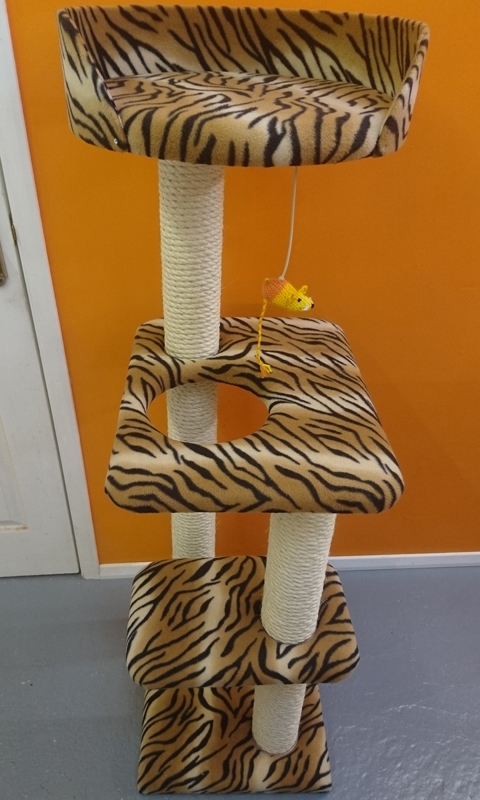 Simply add both a catnip mouse and a cat scratching post to your basket and select 'please attach mouse to my cat scratching post'. 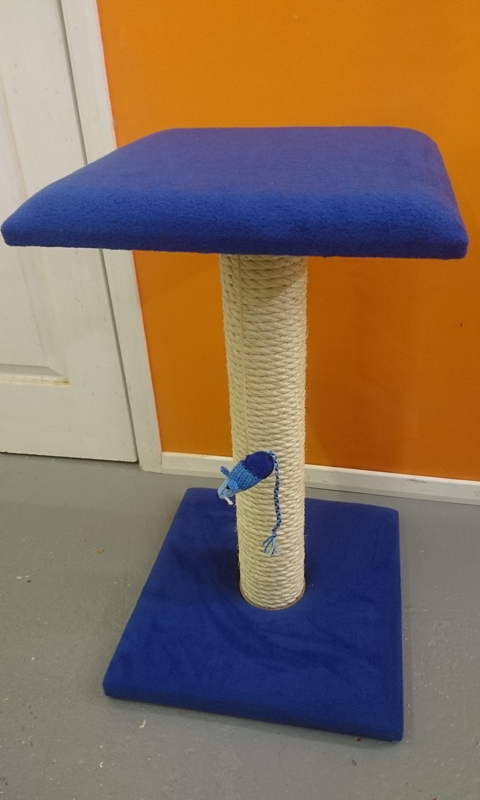 Here are some photos of the Original Cat Scratching Post finished in a variety of different height options. 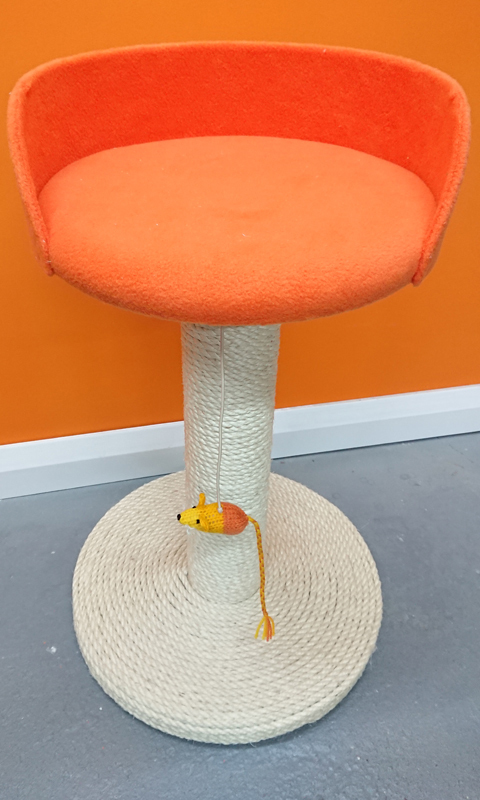 Some examples of our catnip mice attached to our cat furniture. 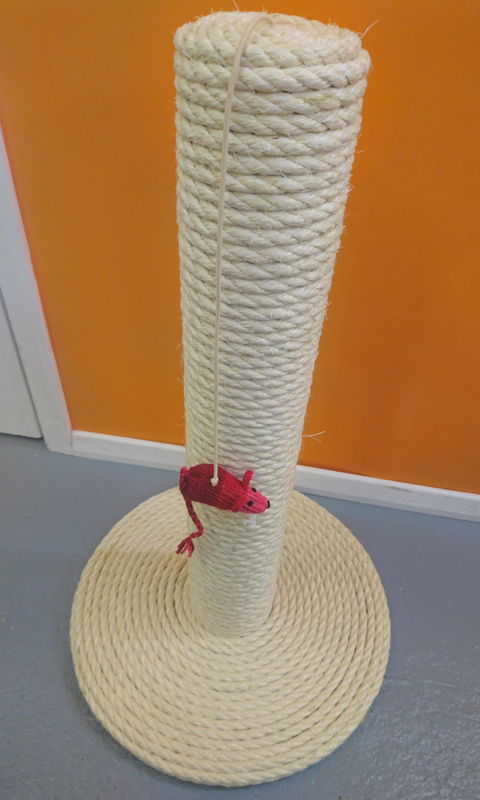 The mice are attached with a sisal coloured bungee cord. If you require more than 1 mouse in different colours, please add each mouse to your basket separately. 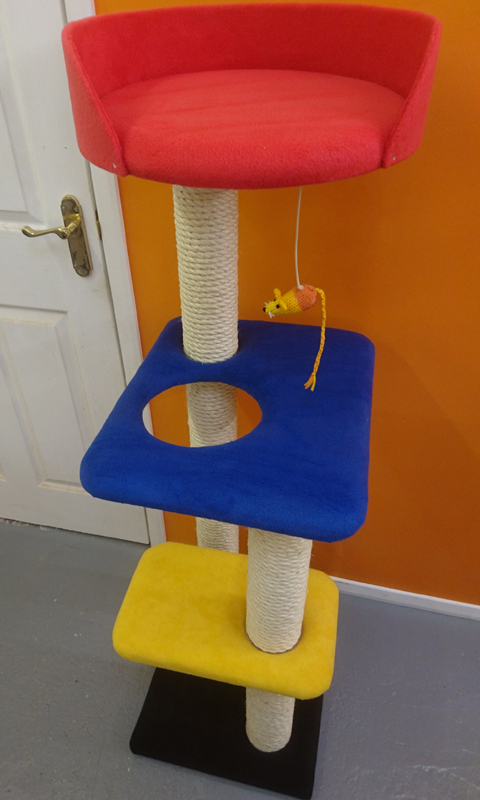 Shall we attach the mouse to your Cat Scratching Post?